Ross Chastain and Reid Wilson will share driving duties of the No. 45 Niece Motorsports Chevrolet in the NASCAR Gander Outdoors Truck Series in 2019. Chastain will drive the truck in the season-opening race at Daytona (Fla.) International Speedway on Feb. 15. Chastain drove a No. 38 truck for Niece Motorsports last season, posting a best finish of 12th in the truck at Bristol (Ten.) Motor Speedway. In all, Chastain ran seven Truck Series races in 2018. Meanwhile, Chastain competed full-time in the NASCAR Xfinity Series and competed in all but two Monster Energy NASCAR Cup Series races in 2018. He claimed his first-career NASCAR national-level win last season in the Xfinity Series race at Las Vegas Motor Speedway. 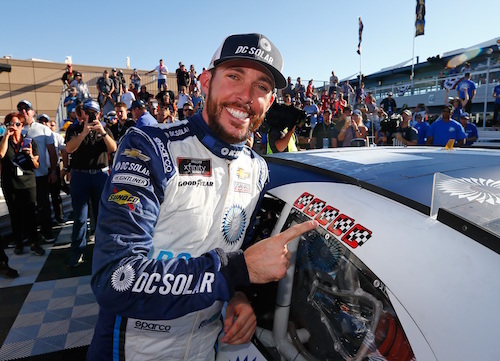 Chastain is expected to be a Cup Series regular for Premium Motorsports in 2019. He planned to compete full-time in the Xfinity Series this season, but he lost his planned gig as driver of the No. 42 Chip Ganassi Racing Chevrolet as a result of legal issues for sponsor DC Solar. Wilson competed in three Truck Series races last season, posting a best finish of 16th in his series debut for Young’s Motorsports at Martinsville (Va.) Speedway. Phil Gould will be crew chief on the No. 45 team. He comes to Niece Motorsports from Roush Fenway Racing where he was crew chief for Ryan Reed in the NASCAR Xfinity Series for three season. Gould guided Reed to the Xfinity Series playoffs all three seasons and a race win at Daytona in 2017. In all Gould has 199 races of experience as a NASCAR national-level crew chief — on in the Cup Series and the rest in the Xfinity Series between 2013 and 2018.